An eighth generation Texas farmer and rancher, Sid Miller is the 12th Commissioner of the Texas Department of Agriculture (TDA). He has devoted his life to promoting Texas agriculture, rural communities and the great state of Texas. 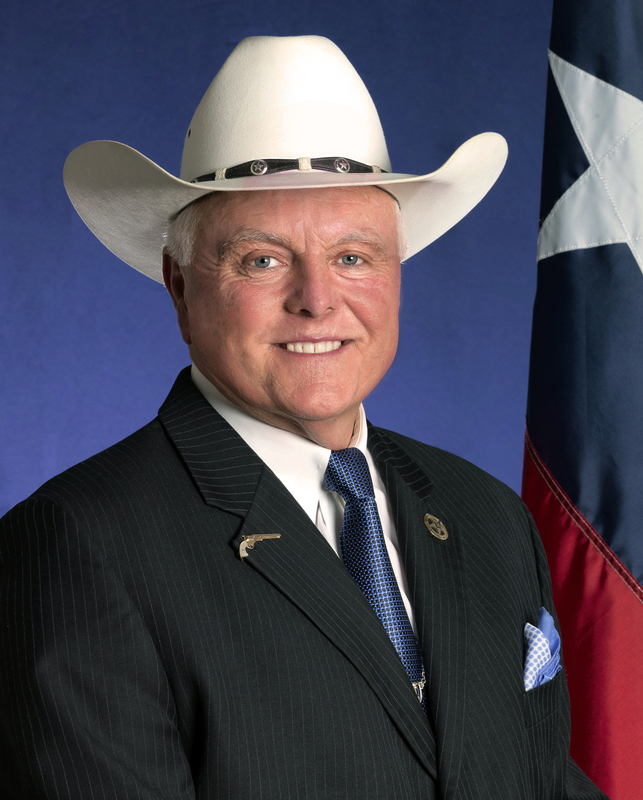 Born in De Leon, Texas, in September 1955, Sid Miller graduated with honors from Tarleton State University in Stephenville with a Bachelor of Science degree in Vocational Ag Education. A recognized community leader, Miller was first elected to the House of Representatives in 2000. He quickly earned a reputation as a staunch defender of Texas agriculture, constitutional freedoms and individual liberties for all Texans. He was elected statewide as the 12th Texas Agriculture Commissioner in 2014. Since taking office as Agriculture Commissioner in January 2015, Commissioner Miller has brought real, common sense reform to TDA. Within six months in office, he eliminated a two-and-a-half year backlog in organic certifications. He reshaped field operations to maximize efficiency for Texas taxpayers. This included increasing the number of consumer protection inspections by as much as 183 percent while slashing the miles traveled by TDA inspectors by more than half a million miles a year. Under Commissioner Miller’s leadership, the inspection and calibration of all 400,000 fuel pumps in Texas will occur every 24 months instead of every six-to-eight years. Commissioner Miller also launched Operation Maverick, a consumer protection initiative to round up businesses which failed to register their commercial scales with TDA. Registrations have increased 35 percent, and more than 2,000 previously unregistered businesses are now monitored by TDA to ensure consumers are protected. A former ag teacher and school board member, Commissioner Miller is committed to fighting childhood obesity and promoting healthy lifestyles for Texas schoolchildren. His creation of Farm Fresh Fridays and other farm-to-school initiatives resulted in a $14 million increase in the amount of Texas products purchased by schools. Commissioner Miller is also passionate about ensuring rural communities have the water and infrastructure they need to thrive. To that end, he created TDA’s Office of Water to ensure all Texans have access to clean water for today and future generations. Additionally, under his guidance, TDA has directed hundreds of millions of dollars in federal funding through the Texas Community Development Block Grant program to local communities for infrastructure improvements and repairs. Commissioner Miller is the state’s leading advocate around the world for Texas agriculture, Texas-grown products and Texas-owned businesses. He oversees TDA’s world-renowned GO TEXAN program — a marketing effort to showcase the best products, companies and communities that call the Lone Star State home. Since taking office, Commissioner Miller’s passion to increase market exposure for Texas agriculture has led him and his staff to mount trade missions to Cuba, Ecuador, Argentina, Israel, China and every continent on the globe, except Antartica. Commissioner Miller is a businessman who breeds and trains American Quarter Horses. In his spare time, he is a recognized rodeo cowboy who holds ten world championship titles. He and his wife, Debra, have been married for going on 40 years. They have two sons, two daughters-in-law and four grandchildren. They are active members of the Cowboy Church of Erath County, where Commissioner Miller also serves as an elder.